"May 12, 2016 Al and Dan, A very late note of condolence but..."
"Nancy was a wonderful help to me when I got my first job at..."
"Al and family - We know that Nancy was a wonderful person,..."
"My prayers go out to the family. - Laura"
Nancy Antak was born to Gladys Rose Longmire and Irvin Alfred Morris on February 24th, 1939. She was raised in Yelm, Washington until her mother remarried and the family moved to Wurzburg, Germany where her stepfather was stationed in the military. Nancy spent her senior year in high school in Wurzburg and then two years of college in Munich. After moving back to the US she enrolled at Western Washington University in Bellingham where she met her future husband Al Antak. After graduating from college, she and her husband moved to Camas, Washington in 1961 where they both worked as school teachers until they retired in 1993. 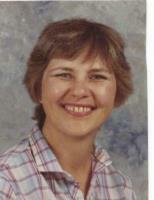 Nancy taught 29 years of school working mostly in the Washougal school district teaching 4th grade. Nancy enjoyed camping, traveling, and attending the Washington Huskies football games with her husband and friends. Nancy is survived by her husband, Al Antak; her son, Dan Antak (Jennifer); and sisters, Karen Johnson and Linda Pflugmacher. A memorial service will be held at Camas United Methodist Church, 11:00 a.m., Friday, April 29, 2016. Donations can be made to Hospice in lieu of flowers. Please sign Nancy's Guest Book at www.columbian.com/obits.